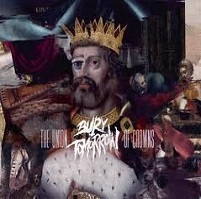 Unlike many in the field, Bury Tomorrow have never tried to distance themselves from the metalcore moniker. While such an approach may be admirable in owning up to who you are as a band, there seems to be another reason that’s at hand when listening to Black Flame. It’s quite simple really – Bury Tomorrow have the basics down for metalcore by numbers and haven’t really taken it a step above it. 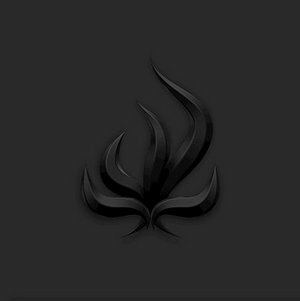 While there have been some strong releases in said genre, even in an era that many argue is past its prime, Bury Tomorrow sound as if they haven’t aged more than a few days from the early 2000s. While some may find the approach endearing, it quickly loses its flair after listening to more than one track at a time. Case in point – the title track single. Taken on its own, it combines some hefty metallic riffing with some nods towards melodeath and merges it with some soaring and saccharine clean vocals in the chorus, with just the right amount of pop flair. It worked for Killswitch Engage and All That Remains (for a while at least), and it feels just as strong here. But in listening to the entire release at once, it’s quite clear that it’s all flash and little substance. The basic song structure and sequence repeats itself ad nauseam for the remaining nine tracks. Some of the leads have some nice touches to them, and they will occasionally drive things a bit heavier (“Knife of Gold”) but such moments are seemingly fleeting. There’s nothing wrong with some simplistic chugging and formulaic riffing from time to time, but Black Flame seems to be okay with not going the extra mile to ensure that there’s some substance once the initial catchiness factor wears off. The rinse/repeat method may work for some that are easing into the genre, but they aren’t going to earn any points with the metal elite with such a surface level offering.